The Lobster is a movie which split audiences, and it’s very likely your attitude towards surreal drama will colour your experience of it. In fact it’s possible that coming to it completely cold you might just reject it as bafflingly bad. It isn’t, by the way, it’s great. But it is very unusual, and actually has much in common with the deliberately bizarre theatre work of writers like Harold Pinter, Edward Albee, Eugène Ionesco, Samuel Beckett et al last century. The premise of the film is perfectly straightforward, if a bit odd. It takes place in alternate present day universe where all adults are legally required to be part of a couple by the state. If you suddenly find yourself single you are taken to a hotel with other single people and given 45 days to fall in love and become a couple again. If you are unable to find love during that time, you are given the option to either be turned into an animal, or to be released into the wild and hunted by the other residents of the hotel. And that’s basically it. Oh, and the animal you’re changed into is entirely your choice, it can be anything. A camel, a flamingo, even a lobster. Certainly not an everyday sort of story, but if you give yourself over to its internal logic, it’s one which makes sense throughout. Essentially the film is an examination of acute loneliness in the face of authority, and the inability of the characters to meaningfully communicate. As Colin Farrell points out in the short accompanying featurette, although the dialogue is deliberately flat and unemotional the film itself is incredibly moving. These days it’s unusual for films based on such a bizarre premise to have a well known cast, and all the actors involved comment in the featurette on the originality of the script as a reason for wanting to take part. I suspect their involvement probably helped the project get made too. Colin Farrell is our hero David, the only character who actually as a name (if we discount Bob his brother who has already been turned into a dog). He has decided he wants to become a lobster if he is transformed. All the other characters are known by characteristics – Lisping Man played by John C Reilly, Limping Man by Ben Wishaw, Short Sighted Woman by Rachel Weisz (who also narrates with a wonderfully flat, matter-of-fact voice). The performances across the board are both restrained and slightly terrifying. Olivia Coleman is particularly fantastic as the hotel proprietor. The world created by the actors just taking the situation on at a slightly baffled face value, is absolutely horrifying. As the communication issue within the hotel and the outside world is so problematic the characters start to believe the only way to find a suitable mate is to chance on someone with the same physical attributes – David searches for someone else who also wears glasses – other characters look for people who have similar nosebleeds, or someone with similar hair, or lisp or walk, or interest in biscuits. All with varying degrees of success. The very ordinariness of the rendering of the story is what gives the film its power. The way the characters seem incapable of interacting with each other normally gives the viewer a real sense of the other, the outcast. As the countdown of the days left becomes more desperate, the very real danger of being forcibly turned into an animal becomes more and more acute. The story does falter slightly when the hotel is left behind and focuses upon the group of Loners in the woods. Andrew Collins said of it, “if ever there was a film of two halves”, but it quickly picks up again when it begins highlighting that the wild single Loners (led by a fabulously ruthless Léa Seydoux) are as equally unwelcoming as the hotel. This society is one built on loneliness, everywhere. Most of the couples we meet are just playing along and going through the motions, not actually in love. They live in constant fear of being turned into an animal. There is an unspoken willingness to do the unthinkable to stay alive, to stay in human form. The idea of people being incapable of communicating continues throughout the search for love and leads to horrible choices being made. And it is those horrible choices which push the story through until the surprising and awful end. As I mentioned earlier, Director Yorgos Lanthimos and his co-writer Efthymis Filippou have essentially created something stylistically in common with many plays from 1950s theatre. The Theatre of the Absurd was a loose absurdist movement which dealt with the ideas of humanity and the pointlessness of existence through bizarre scenarios and humour, and generated many plays which are still heralded as classics. An influential stylistic line from The Lobster, unconscious or not, can be traced back to the work of Eugène Ionesco. In 1959 he wrote a play called Rhinoceros in which a small town, excluding the main protagonist, all turn slowly into rhinoceroses. There are similarities of theme here, whether deliberate or not, mainly the idea of an agreed silence – people going along with the status quo, of just being part of the crowd. Ionesco was talking about the acceptance of Communism and Fascism, but the same can be said of The Lobster and its reflection of modern compliance be it in political form or situations on social media. Whether The Lobster is intentionally using the influence of the Theatre of the Absurd or not is unknown. It is however a genuinely compelling basis of comparison. We never see much of the actual regime in charge in The Lobster, what we see is the mundane everyday. But an exchange in a shopping centre where a couple has to provide their couple paperwork to the police shows the level of fear held by the whole populace in a snapshot. It is a chilling moment. And if this has given you the impression that the movie is completely dour, never fear, The Lobster is weirdly a very amusing watch. The juxtaposition of the oddness with the mundanity of presentation is very funny. It also makes the disturbing moments even more horrible, and the discussion of loneliness ever more touching. 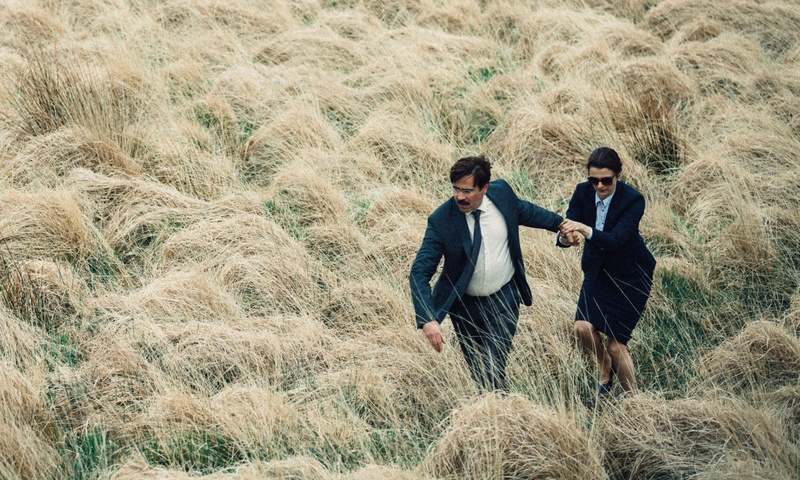 The Lobster is out now and worth a look.